Wal-Mart had a strong holiday season, but payroll taxes and higher gas prices have weighed on the company in the new year. Wal-Mart reported a solid fourth quarter, but confirmed fears that payroll taxes, delays in income tax refunds, and higher gas prices have been weighing on its sales since mid-January. "In the last couple of weeks of the quarter, we began to see an impact from the increase in payroll taxes and the delay in the income tax refunds," said Wal-Mart (WMT) U.S. CEO Bill Simon. February sales at the nation's largest retailer were also slower than planned, Simon added. The delay in tax refunds has caused people to pull back discretionary spending on items like a new television before the Super Bowl, he said. Hit with smaller paychecks, customers are starting to make adjustments in what they buy. However, Simon hasn't noticed a measurable trade down or change in traffic patterns yet. "Customers know about it and are adjusting," he said. "We don't have a clear vision of how they'll continue to behave throughout the year." Another sign of the pullback: the retailer noticed a shift in the way small businesses are stocking up at its warehouse club division Sam's Club. 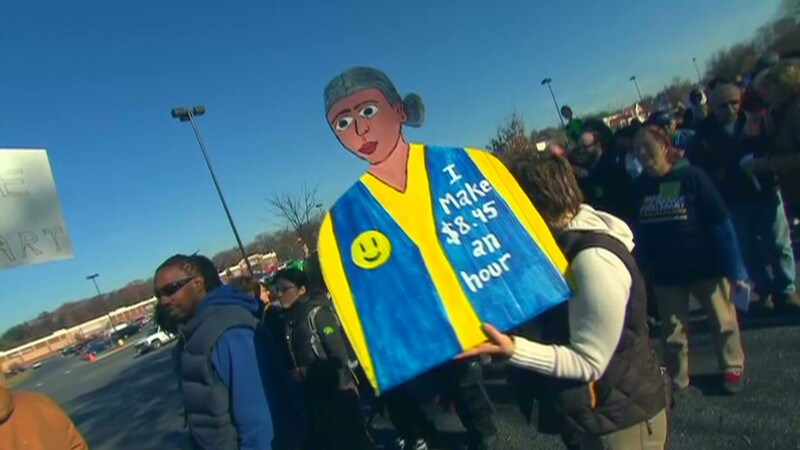 Rosalind Brewer, CEO of Sam's Club, said that businesses were "more deliberate in their spending." According to Wal-Mart's chief financial officer Charles Holley, Wal-Mart has started adjusting the sizes of products it sells and the assortment it displays on its shelves. Executives wouldn't elaborate. "We are prepared for when customers have the paycheck in their hands and when they don't," he said. Speculation about a slowdown started buzzing last week, when leaked emails from Wal-Mart executives who called the month a "total disaster" surfaced. 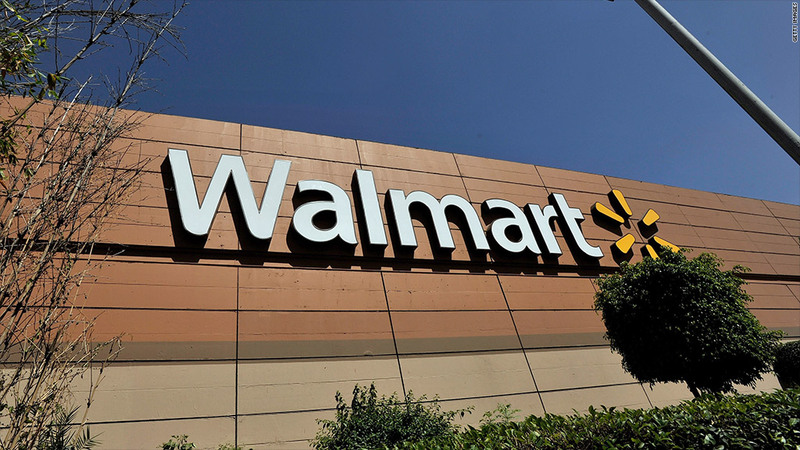 As the country's largest retailer, Wal-Mart is viewed as a barometer for consumer sentiment. Investors will be watching closely to see if the payroll tax hike will hit spending at other retailers as well. So far, many retailers have reported healthy sales in January, a sign that not all consumers may be worried about higher taxes and a still stagnant economy just yet. But the sluggish start to the year at Wal-Mart comes after a decent fourth quarter, which was bolstered by steady sales during the holiday season. Wal-Mart said earnings rose 7.9% from a year ago to $5.6 billion, or $1.67 a share. That beat Wall Street's estimates of a profit of $1.57 a share, according to a survey of analysts by Thomson Reuters. Revenue came in just slightly below expectations though. The company reported a 3.9% increase in total revenue to $127.9 billion. Analysts were forecasting $128 billion. Wal-Mart also announced it would increase its annual dividend by $0.29 to $1.88 per share for fiscal 2014, an 18% increase over last year. Simon said that the company did well on Black Friday weekend and throughout the holiday season. He said that Wal-Mart's strategy of hour-long specials on Thanksgiving, where it offered low prices on items like HDTVs and Apple's (AAPL) iPad 2 to anyone who visited the store on Thursday evening, paid off. The store's layaway plan, which let customers hold an item for a period of time while they made incremental payments to cover its costs, also did well. Sales of toys and food were particularly strong. "Our performance during the key holidays was solid," Simon said. The busy flu season also drove up sales in its health and wellness division. The company also addressed the investigation into allegations of bribery of foreign officials at Wal-Mart's Mexico operations. The charges stem from allegations that Eduardo Castro-Wright, the former CEO of Wal-Mart's Mexican division and former head of Wal-Mart U.S., orchestrated $24 million worth of bribes in Mexico to secure construction permits. The claims were reported in a New York Times article in April. The retailer said in November that it was broadening its investigation into bribery allegations to include India, China and Brazil, and that the company has spent more than $35 million to ensure it complies with the U.S. law. "We've spent thousands of hours and millions of dollars with compliance experts on anti-corruption support and training," Wal-Mart CEO Mike Duke said on Thursday. "We will have a world-class compliance organization." Shares of the company were up 95 cents to $70.14 at the open of trading.